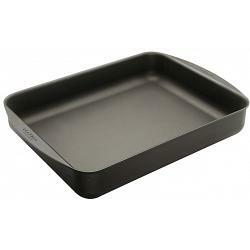 The Classic roasting pan / lasagna pan from Scanpan is made in Denmark with a lifetime warranty! The roaster has a capacity of 7.5 liters / 7.5 quarts and measures 17 x 12.5 inches / 39 x 27cm. 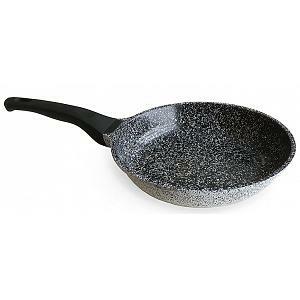 The roasting pan is made of pressure-cast aluminum for ideal heat distribution. The roaster features a Green-tek ceramic-titanium non-stick finish that is safe for use with metal utensils and retains heat for baking and roasting. This high quality roasting pan comes in a gift box, is oven safe to 500F, and is dishwasher safe.